Last Friday, on the 2nd of October, KTN TV’s screen siren Betty Kyalo and NTV’s investigative journalist Dennis Okari walked down the aisle at the quaint Marula Manor. The two lovebirds later graced Swahili Beach at Diani which is part of the South Coast for their honeymoon. 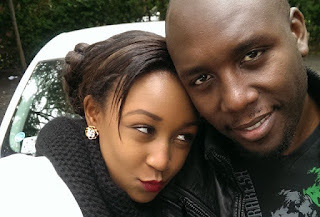 This is the same place where Dennis Okari posed the million dollar question, ‘Betty Kyalo, will you marry me?’ in April 2013.